Holistic and conventional nursing share many of the same affinities and distinctions. Both types of nursing require formal training and licensing in standards of care and practice. 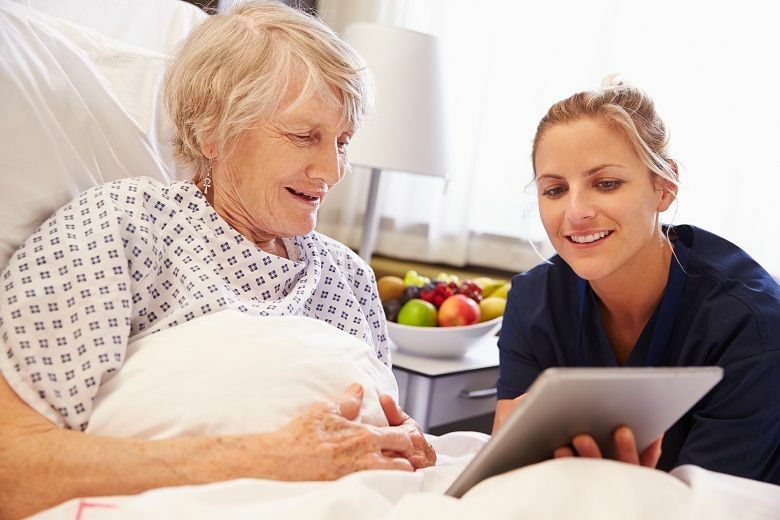 Holistic and conventional nurses can give bedside care and perform tasks within their appropriate scope (e.g., registered nurse (RN) or family nurse practitioner (FNP)), including doing assessments, dispensing medications and developing a care plan. However, holistic nurses also can expand their practice to include options for alternative treatments and medications. Students who pursue a nursing degree at Duquesne University are educated “in the art and science of nursing to provide ethical, holistic, culturally competent and population-based collaborative care,” as stated in the school’s mission statement. Conventional nurses, such as FNPs, are state-licensed and nationally certified advanced practice registered nurses (APRNs) who care for patients across the lifespan. Using evidence-based practice (EBP), they integrate research evidence, clinical expertise and patient beliefs into their decision-making process for care. Florence Nightingale is linked to the earliest use of EBP, documenting her sanitary practices in patient care and employing statistics to predict patient outcomes. Treating everyone from infants to geriatric patients, conventional nurses provide continuous, comprehensive care, which includes managing chronic conditions, treating minor injuries and offering preventive health services and education. In some states, FNPs have full-practice authority that allows them to act as primary-care providers without requiring physician supervision. They may also specialize in areas such as women’s health, neurology and cardiology, according to “Role & Scope of Practice of a Family Nurse Practitioner” on NurseJournal.org. Holistic nursing focuses on the benefits of integrating conventional nursing care with complementary and alternative modalities. Holistic nurses evaluate patients by considering mind, body, spirit, emotion and environment. They employ treatments such as acupuncture, aromatherapy, massage, hypnotherapy and wellness coaching. Although the American Nurses Association (ANA) didn’t recognize holistic nursing as an official specialty until late 2006, the practice can also be traced back to Nightingale’s work. Nightingale recognized the importance of addressing the patient as a whole person. She encouraged interventions that enhanced patients’ abilities to muster their own healing powers. She considered touch, light, music, aromatics, empathetic listening, quiet reflection and similar healing measures to be some of the essential elements of good nursing care. “Today’s education of holistically trained registered nurses and advanced practice nurses is built upon these same principles,” according to the “Position on the Role of Nurses in Complementary and Integrative Health Approaches” by the American Holistic Nurses Association (AHNA). The AHNA, which was founded in 1981, is a nonprofit national membership association for holistic nurses and other holistic healthcare professionals. It is dedicated to the continued development of evidence-based holistic research, self-care methods for nurses and non-pharmacological pain management. To become a certified holistic nurse, an RN or advanced practice nurse such as an FNP can apply and take the exam offered by the American Holistic Nurses Credentialing Corporation (AHNCC). Holistic nursing theory is about more than certain actions or words. It’s a philosophy that ensures whole care for every patient. Holistic care not only enriches the lives of patients, it can also improve the lives of nurses. Holistic medicine allows nurses to promote psychological and emotional well-being to help facilitate their patients’ physical healing. While holistic nurses may be found in traditional hospital settings, many prefer to work in private practice, integrated medical facilities, birthing centers and in patients’ homes. Holistic nursing shares the same career outlook as registered nursing, with a projected increase of nearly 20 percent by 2022, according to “Holistic Nursing Careers and Salary Outlook” on NurseJournal.org. Duquesne’s online MSN degree can prepare graduates for advanced careers as primary-care providers. The curriculum includes coursework in healthcare ethics, pathophysiology, and family and individual care. Students may also add a concentration in nursing education, forensic nursing or transcultural nursing. For MSN program and family nurse practitioner information, contact the Duquesne University School of Nursing.